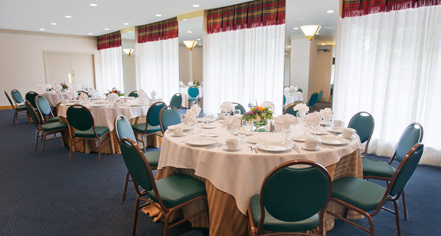 The Crockett Hotel features two intimate meeting spaces for your group. 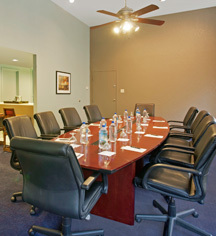 The Alamo Room is a street level multi-purpose meeting space immediately across Bonham Street from the Alamo grounds. The room can accommodate up to 100 theatre style. In addition, the 7th floor executive level (also with an Alamo view) has an executive board room which can accommodate 15. In addition the floor provides 2 other suites and 6 executive rooms, perfect for a executive board meeting or retreat. Catering and conference services available.